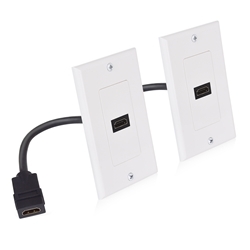 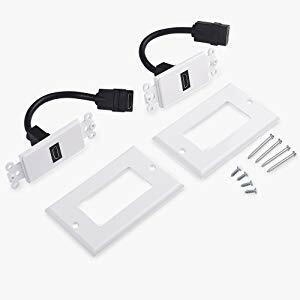 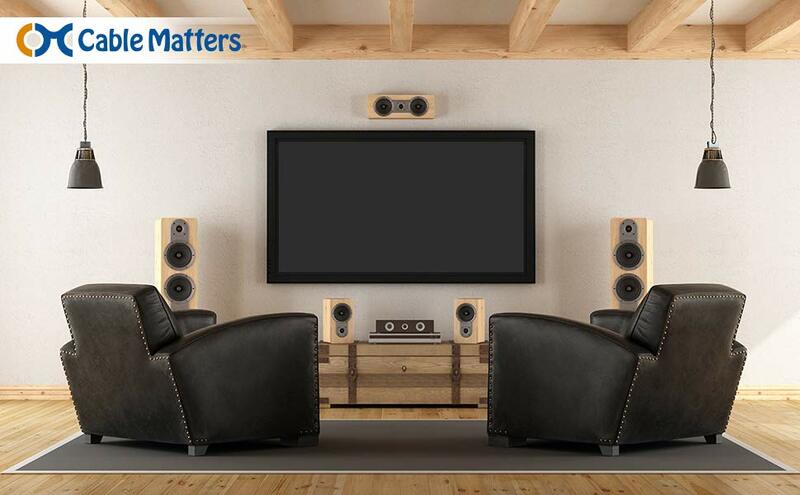 The Cable Matters 4K HDMI Wall Plate provides a clean and simple way to connect a wall-mounted UHD TV or a ceiling-mounted projector. 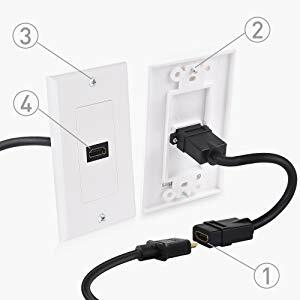 Conceal the HDMI cable behind the wall instead of fastening it to the baseboard for a secure and professional-looking installation. 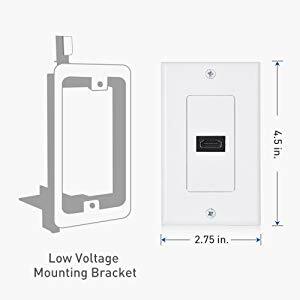 This sturdy wall plate is built to last. 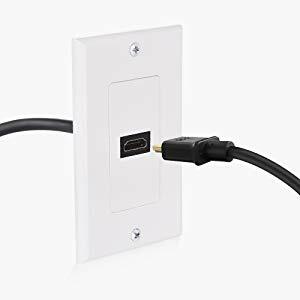 Painted screws are included with this two-piece wall plate for a professional-looking installation.